An important article on Frithjof Schuon has just been published in Numen 64 (2017), pp. 258–293: This is Gregory A. Lipton, "De-Semitizing Ibn ʿArabī: Aryanism and the Schuonian Discourse of Religious Authenticity." Firstly, he demonstrates by numerous citations from Schuon's works that Schuon subscribed to understandings of race and of the opposition between Aryan and Semite that were developed in the nineteenth century by theorists such as Ernest Renan and Joseph Arthur de Gobineau, and incidentally underpinned Nazi racial theory--I say "incidentally" because Lipton is not arguing that Schuon was a Nazi, merely that he subscribed to understandings that the Nazis also subscribed to. Secondly, he shows that Schuon disliked what he saw as Semitic in Ibn Arabi, preferring Vedanta and Plato as Aryan. He was sometimes very critical of Ibn Arabi, for example for his “abrupt and unintelligible denominationalism.” Lipton understands Schuon's and the Maryamiyya's turn away from its originally very Islamic Sufism to a more universal understanding that de-emphasized Islam and instead emphasized the Virgin and Vedanta as a response to this problem, as "de-Semitizing." The article is clearly written, tightly argued, and entirely convincing. There may also, however, have been other reasons for Schuon's turn away from Islam. Traditionalism and the Aga Khan? An interesting article in Religions 9 (2016), the journal of the Doha International Center for Interfaith Dialog, has been brought to my attention. This is “Integral Pluralism as the Basis for Harmony: The Approach of His Highness the Aga Khan” (pp. 147- 62) by Ali Lakhani, a shortened and edited version of an article originally published in the Traditionalist journal Sacred Web in 2014, “Living the Ethics of One’s Faith: The Aga Khan’s Integral Vision” (no. 34, pp. 33-62). The article is interesting because the Aga Khan’s “integral pluralism” and “integral vision” appear as remarkably Traditionalist. Whether this has a basis in reality or is wishful thinking on the part of Lakhani is not known. 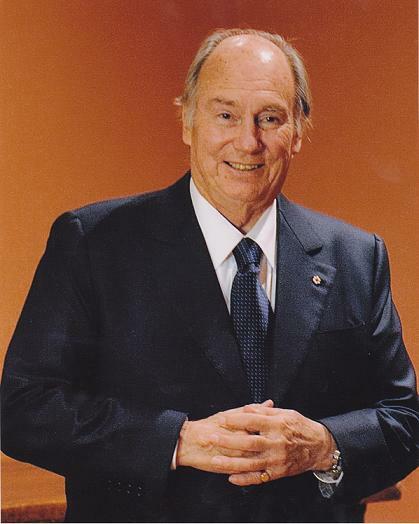 The Aga Khan (pictured) is, of course, the 49th imam (leader) of the Nizari Ismailis, a minority branch of Shi’i Islam that now has some five to ten million followers worldwide. The Nizari imams are descended from the Fatimid Caliphs, and thus from the Prophet Muhammad’s son-in-law and grandchildren. Lakhani, the founder and editor of Sacred Web, is a one of the most prominent Traditionalists of the generation following Seyyed Hossein Nasr. Born in England in 1955, he is now a successful lawyer in Canada. He is also an Ismaili, and active within the Ismaili community. He was the first chair of the Ismaili Conciliation and Arbitration Board. Sacred Web is an overtly Traditionalist journal, but Religions is not. It is, however, edited by Patrick Laude, co-author of Frithjof Schuon: Life and Teachings (SUNY Press, 2004), and many of the original International Advisory Board, which includes Seyyed Hossein Nasr, are Traditionalists. English Muslim singer Sami Yusuf is now a Traditionalist, and almost certainly a disciple of Seyyed Hossein Nasr. The inspiration that animates this work, its life and soul, is the poetry of Seyyed Hossein Nasr, for it expresses timeless Truth and a life devoted to attaining it. The dimensions of this personal yet universal message evoke a diversity of responses, of spiritual states and perspectives, expressed in the Songs of the Way. The yearning lament of the kamanche and the ney, the interiorizing fervor of flamenco guitar, and the nobility of the classical Middle Eastern Sufi style all express human responses to a Divinity that transcends us. They call us to remember the Sacred within us, and ultimately, like everything beautiful, manifest aspects of Divinity Itself. And amid these tones there is the voice, the sound closest to our heart, which soars to evoke the cadence that we heard before the world was born. There has recently been a lot of linking of the names of Julius Evola and Steve Bannon, encouraged by an article in the New York Times on February 10, 2017 by Jason Horowitz, "Steve Bannon Cited Italian Thinker Who Inspired Fascists." In this aticle, Horowitz was careful not to identify Bannon as an Evolian, despite his referfence to Evola, but other journalists have been less careful. One of the most interesting articles since Horowitz's piece has been Alastair Crooke's "Letting Russia Be Russia," published on March 17, 2017 on Consortiumnews. Crooke discusses Dugin, Evola and Bannon, and lists ways in which Bannon's 2010 film Generation Zero reflects Traditionalist views. "I do not know whether Bannon or Trump have read Evola," concludes Crooke, "but his sprit, and that of other Radical Traditionalists, has certainly permeated the thinking of the Alt-Right circles in which both men have been moving." That, I think, is a fair assessment. A new book by the Hungarian essayist Béla Hamvas (1897-1968) is now available in English translation. The Philosophy of Wine, written in 1945, has been published by Media Kiadó in Budapest, finely printed and bound. Hamvas was primarily a literary figure, but was also a Traditionalist, introducing Guénon and Evola to certain Hungarian circles during the interwar period. His Scientia Sacra (1943-44) is his most Traditionalist work. The Philosophy of Wine is the only work by a Traditionalist I have yet read that has made me laugh aloud. Traditionalists tend to treat serious topics seriously, but Hamvas uses humor, and uses it well. Wine, he explains in the book's introduction, actually stands for the divine, and philosophy for metaphysics, but a book about the metaphysics of the divine would not go down well, so he has written about wine instead. And the book is indeed about wine, and the pull-out map of wine regions in Hungary is very useful. But the book is not only about wine. It is also about modernity and esotericism and the One, and it is an attack on modernity's representatives--atheists and scientists--and also on pietists and puritans. A puritan, Hamvas explains, is "a pietist turned terrorist," a phrase that must have carried special meaning as Communist puritans tightened their grip over Hungary, forcing Hamvas out of literary life into a job as a warehouseman. The strength of The Philosophy of Wine is its humor and its elegance. It is an extended essay with short chapters. It also advances an interesting idea at a theoretical level, however: that "the golden age is not a historical period but a condition." The Philosophy of Wine is available from Bookline for 2,550 HUF ($9) plus postage. My thanks to JM for providing me with a copy of the translation and of related material.